Dry the metal (or glass) bowl and the electric mixer attachments. from keeping the air. Keep the egg whites chilled in the fridge. cookie sheets with parchment paper. 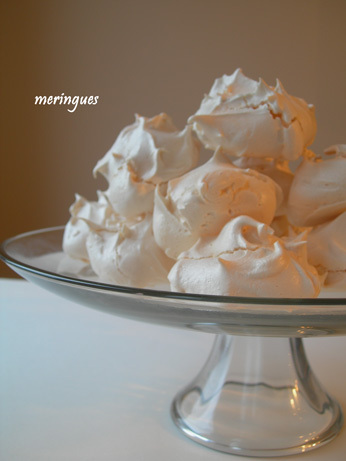 In a bowl, whip the egg whites until firm and beginning to hold peaks. 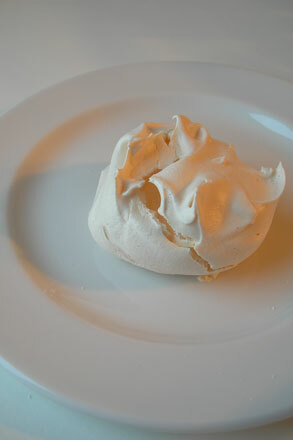 until the meringue becomes shiny and stiff. 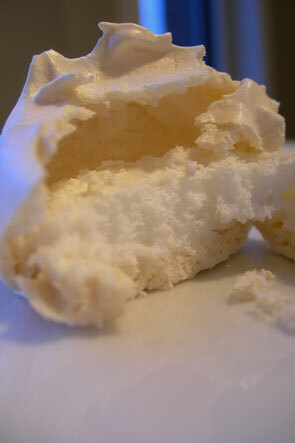 Drop about 2 Tablespoons of meringue on the lined cookie sheets. Poke and pull with a spoon or a fork to make spikes. Bake in the oven preheated at 140C(275F) for 45-50 minutes.